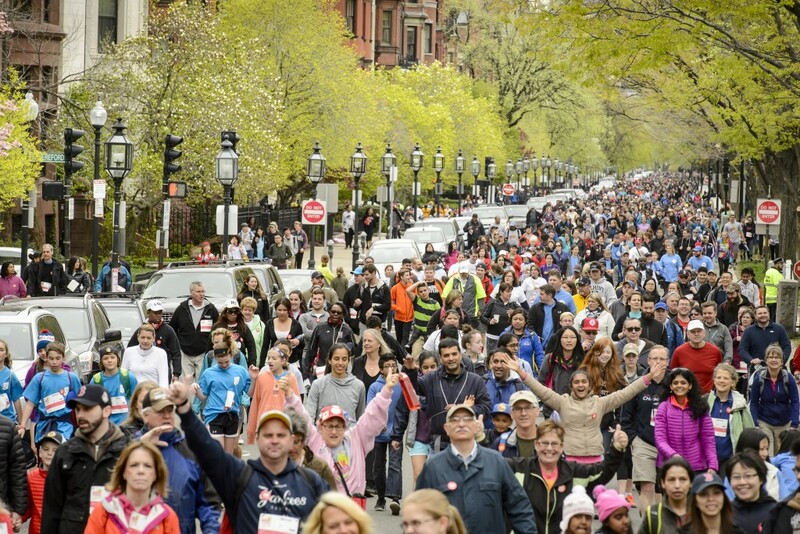 Currently viewing the tag: "Lisa Donovan"
BOSTON—Despite a rainy May 1st, the 48th annual Walk for Hunger & 5K Run brought together more than 35,000 neighbors to raise money to fund hunger-relief programs throughout the state. In the morning, participants were greeted by some of Boston’s biggest on-air personalities from Project Bread’s partners, including iHeart Media radio stations, Kiss 108, JAM’N 94.5, and 101.7 The Bull. Kiss 108’s legendary morning show host Matt Siegel was joined by Frankie & Ashlee, Lisa Donovan and Billy Costa. WHDH-TV Boston’s 7News anchors Kim Khazei and Adam Williams joined Jeremy Reiner on location for the morning weather, and Sarah French cooked up healthy school lunch recipes with Project Bread’s Chef Educators in the Snack Station. The Snack Station was a new feature to the Walk for Hunger’s Walk Village, presented by the Walk’s flagship sponsor Arnold Bread. After crossing the finish-line, completing a 10-mile scenic route through Boston and Cambridge, Walkers were entertained by performances from the Main Stage while re-fueling with an Arnold Bread sandwich and sampling other treats from Shake Shack, KIND, Polar, and more. All money raised from participants of the Walk funds more than 300 critical hunger-relief programs, including: food pantries, soup kitchens, community gardens, summer meal programs, and more. To make a donation to support the Walk for Hunger please visit www.projectbread.org/walk.